It is time again for the Uncommonly Yours Link Party! You can find our features from last week’s party by visiting our Pinnable Pumpkins and our Facebook page! Nellie Bellie (formerly Hating Martha) is a craft blog where you will find all sorts of things from costumes to home decor. Janel is just so funny and lovable and not to mention ultra-creative… please stop in and tell her hello. You will be glad you did! 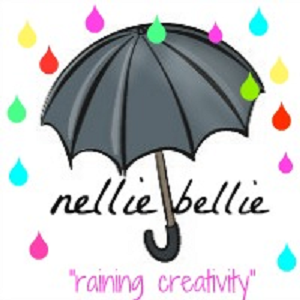 Another big thank you to Nelllie Bellie for sponsoring this week’s link party! 10 Pinnable Pumpkins… Featuring You!! Thanks for hosting 🙂 Have a great week! Thanks for hosting, been looking forward to your party today! Thanks so much for hosting ladies! Hope you are having a wonderful week! Thanks so much for the fabulous party girls! Enjoy the rest of the week! Thank you for the party, girls 🙂 Always love to be here! Thank you for hosting ladies! Love all the fall and Halloween inspiration! THanks a million for hosting a great party! Thanks so much for hosting ladies! Have a great week! Wow, look at all the great link ups already! I love your blog. I am new at blogging and link parties. It seems there are so many great blogs out there it will be hard to get noticed. Thanks for the link party. Hello Ladies! Thanks for hosting and I love the name Nellie Bellie! I used to have a cute English Bulldog with that name – she was a sweetie! Thanks for hosting ladies! Have a wonderful Wednesday!! Thanks so much for the great link up! Have a great week! Thanks for hosting again, girls! newest follower via email subscription! Just linked up my ghost!